Filing for divorce in Kentucky is a relatively straightforward process, with the steps largely influenced by your individual circumstances. If your spouse is incarcerated, you may still file for divorce. However, the process may take a little longer due to the restrictions on your spouse's movement. The divorce may also take longer if your spouse is uncooperative or you're unable to reach agreement on marital issues, such as property division. Kentucky is a "no fault" divorce state. This means neither spouse has to prove that the other did something wrong in order to receive a divorce. Instead, the spouse filing for divorce simply needs to allege the marriage is irretrievably broken, which is the no-fault ground for divorce in Kentucky. Since Kentucky doesn't allow spouses to claim any other grounds for divorce, you won't be able to cite your spouse's incarceration as your reason for ending the marriage. However, this won't hinder your ability to file and move forward with the divorce process. Divorcing your incarcerated spouse won't be much different than if you were divorcing a non-incarcerated one. 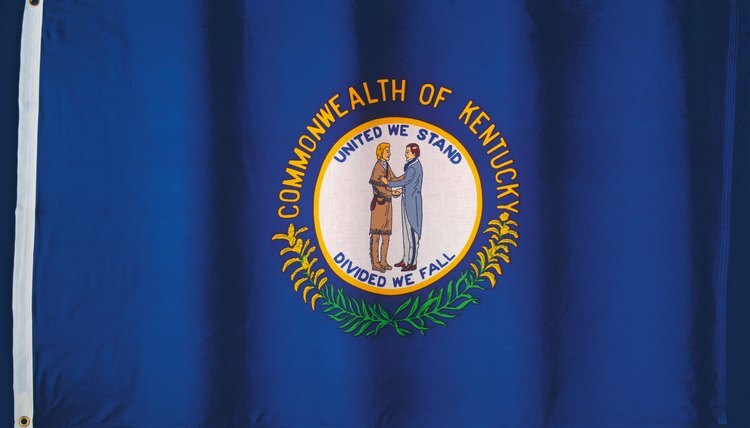 You're eligible to file for divorce in Kentucky if one or both of you have been a resident of the state for at least six months. Once that requirement is met, you may file for divorce in either the county where you reside or where your spouse is incarcerated. After filing your divorce petition and necessary paperwork with the court, you must "serve" your spouse with copies, along with a summons that explains what your spouse must do next. Kentucky allows incarcerated spouses to be served by certified mail with return receipt. Although Kentucky law does not say whether you must send these documents in care of a particular prison official, you may wish to contact the prison for further instructions in case the prison has internal procedures you must follow. Once your spouse submits his response to the court, the divorce process begins. Before the divorce can be finalized, all marital issues must be resolved, such as property division, alimony, child support and custody. The court is not likely to find your spouse's incarceration relevant to such matters, with the exception of child custody. Since your spouse is imprisoned, the court is likely to award you sole custody. This means you will be responsible for providing a home for your child and making important decisions concerning his welfare, such as schooling, religion and health care. However, this doesn't mean the court will deny your spouse visitation. In Kentucky, as in all states, the child's best interests are paramount; therefore, the court will consider several factors when determining whether visitation is appropriate, such as your wishes and that of your child and the incarcerated parent, child's relationship with the incarcerated parent and the child's mental and physical health. Kentucky requires a 60-day separation period. This means the court cannot finalize your divorce until you and your spouse have been separated for 60 days, starting from the date you filed your divorce papers. Of course, this is the soonest your divorce may be finalized. However, it is not uncommon for divorces to take longer. Is Imprisonment Grounds for Divorce? If your spouse commits a crime and gets put in prison, you may not want to stay married any longer. While you can choose to remain married, you can also divorce your imprisoned spouse, though the exact grounds for the divorce may differ between states. Some states specifically list imprisonment as a reason for divorce while others simply allow no-fault divorces. What Is the Law on Divorce When a Spouse Is Incarcerated in Illinois?